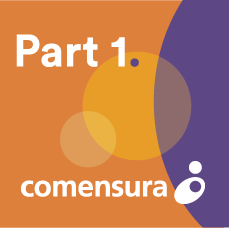 Comensura is obsessive about delivering a smarter way to work for customers with complex contingent, permanent and other sourcing requirements. From maximising relationships with recruitment suppliers to bringing efficiency to processes, we’re there at every stage. With Comensura at your side, our market leading technology and team of experts work proactively for you, cutting through the complexity of procurement and recruitment. When hiring, your managers access a bespoke supply chain that lets them connect with the right suppliers. The result? An easier, streamlined way to achieve better fulfilment, improved quality, 100% visibility and control of expenditure, less risk, empowered hiring managers and bottom line savings. We’ve a range of solutions designed to meet your needs. Comensura’s established and trusted vendor-neutral managed service. A managed service shaped around your diverse requirements. For organisations who have an internal resourcing function or who simply want a preferred supplier list. Choose one or more of the individual services we offer, either standalone or in addition to your Classic, Adaptive or Essential arrangement. Comensura have been appointed as a supplier to the MSTAR3 national framework.